I have heard from a lot of guys, “Ah I don’t really use an outline it just gets in the way of me being free up there.” I used to say this too! But, I do not think this is a good argument. Unless you are the super, uber, top notch public speaker- I am talking MLK/JFK/Abraham Lincoln level then you probably should have some sort of outline somewhere in the process of you giving a sermon. No I am not saying you have to have the outline up with you on stage. 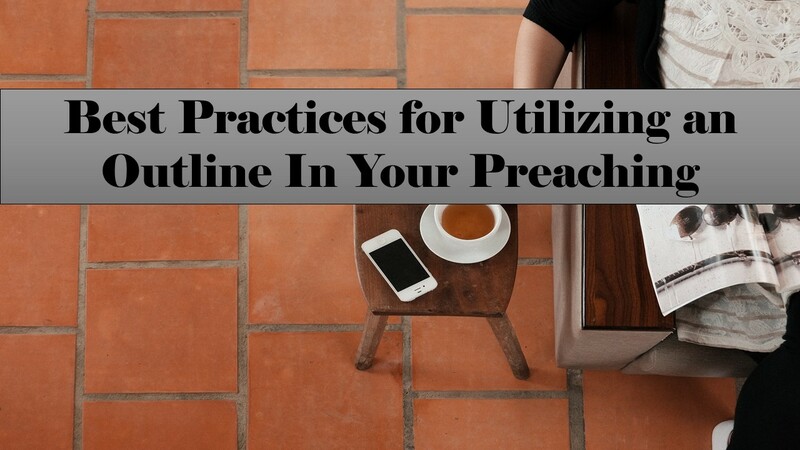 We at RookiePreacher would actually encourage that you take as little as possible with you up there (How to Connect With Your Congregation From the Pulpit). But you do need to structure your message. Andy Stanley really lays outlining out clear in his book Communicating for a Change. Stanley refers to it as a map, specifically a road map. How are you going to get from point A to point B and so on. This is important. Growing up I heard sermon after sermon that took a passage of Scripture and then ran with 3 or 4 alliterative points and then concluded. 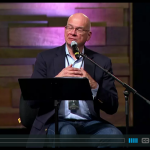 The problem was many times this seemed like three or four different sermons. The easiest way to make sure you are on task is to highlight one main idea or point. This is an important aspect of sermon prep in general. If you create an outline or a roadmap that you can recite over and over again when you just think about it during the week then you have a good chance of being able to grow in your delivery. 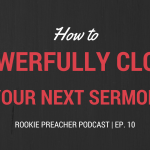 Delivering the sermon note free or increasingly note free is a good goal to have! Creating a memorable outline can help you achieve this goal. When you are outlining keep tension in mind. Think as you try to go from one point to the next or one idea to the next how you can best structure that to keep people’s interest through tension. Always introduce tension in your introduction (a problem that needs solved ect.) Make sure this tension is resolved through the structure you have created in the outline. I wrote on this earlier Variation in Sermon Delivery and it is a good principle. Consistency is good but also stretch yourself a little. Maybe you like deductive reasoning so it would be good to try to outline inductively every once in a while. This is a very important principle. See if you do not outline because you want to be “free” or whatever your audience is going to be scattered as well. Have a solid enough and structured enough outline that you can include guided notes in your program or bulletin or some kind of guided notes on the screen if you have that capability. All in all when it comes to outlining find what works best for you! I know outlining can be an evil word or concept to some but it really is an effective tool in your sermon prep as well as your sermon delivery. As you go through your process maybe you figure out outlining is a very early part of your prep that you put on paper (or a computer screen) memorize and go from there. Great! But for most of us I would say the physical outline plays a bigger part in our prep and delivery (even to the point of having it in some form on stage with us) so because of this we have to work to make outlining as effective as we can. How do you outline? Share with us in the comments!